This Extraordinary LAND in BALI for SALE in JIMBARAN is the most Outstanding LAND for SALE in JIMBARAN BALI, a Wonderful PROPERTY for SALE in BALI LAND. Offering Astounding Cozy Surrounding with some villas arround this Stunning block of LAND in JIMBARAN is one of our featured LAND SALE in JIMBARAN BALI listed on our JIMBARAN PROPERTY listings. Strategically situated in Ungasan, Jimbaran Ungasan BALI, this Fantastic Cozy Surrounding with some villas arround LAND in JIMBARAN BALI for SALE is suitable for Commercial Villa / private house. 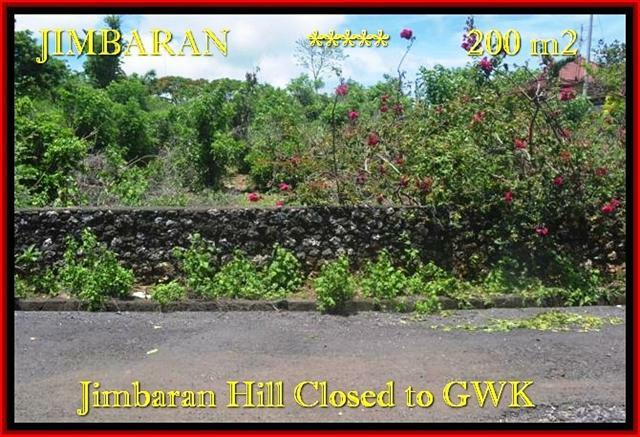 Very Reasonable LAND price USD 345 / sqm which considered very cheap among other JIMBARAN LAND for SALE this Astonishing LAND in BALI for SALE in JIMBARAN is a good opportunity for PROPERTY INVESTMENT in BALI Indonesia.